Crowed streets, you are in the rush, Uber won’t help you in such situation. Anyone of you had such happening? If yes the information which was announced today by Uber will make you happy. San Franciso has now the solution, which at the same time is a very sustainable solution. Thankfully to Uber’s and Jump cooperation which is running a Beta test in San Francisco. That is not a new idea, In San Franciso FordGo was offering its bikes to rent but there was an ordinary bike with no special features. Those from Jump are way more better with their electric engines, and they are dockless. You can borrow them through Uber or Jumps app. It works like Uber, looking for the closest free bike and if you reach them, unlock it. Very good and healthy solution and as everything in San Fransico not the ordinary bike but with the addition of technology. “We’re always kind of searching for options to make transportation affordable and more accessible for people,” Uber Head of Transportation Policy and Research Andrew Salzberg said. In my opinion perfect solution, I’ll be really glad if they will appear in EU. This is a surgical device that makes it easier for doctors to perform surgery. Da Vinci robot allows precise execution of complicated surgical procedures, especially in hard to reach areas of the body. However, it is not the only advantages of the robot. The da Vinci robot consists of two parts of a medical robot and a surgical console. Both devices are a bit distant from each other. 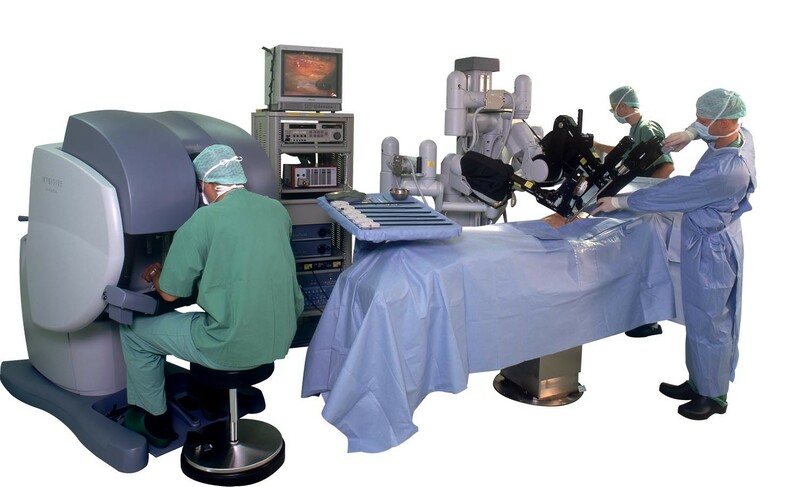 During the operation, the surgeon is not at the robot, does not operate directly on the patient, but sits at the console and using it (specifically the control pads) directs the device. In the console glasses, the surgeon has a preview of the operated part of the body – in three dimensions, high definition HD, natural colors, and even in a twenty-fold magnification. What operations can be done with help of this robot? What do you guys think? 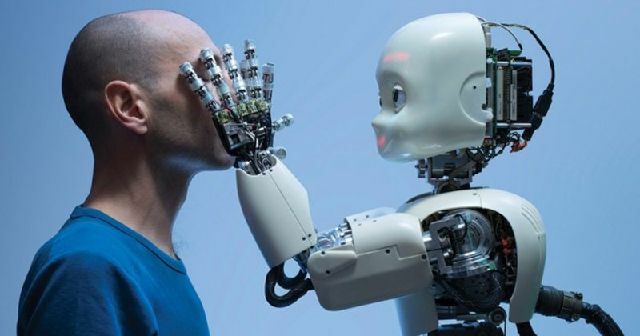 Do you see future in robots who help doctors? 30 years ago the Nintendo Entertainment System (NES) was released with an unforgiving rectangular controller with five buttons.The console was the birthplace of a number of popular franchises, including the Legend of Zelda series, and with Legend of Zelda still going strong you still can buy the NES, in miniature form, today in the new switch. Nintendo’s new console, the Nintendo Switch, is a games console that can be used in three different ways. It can be connected to the TV, used as a handheld device and also as a tabletop device.The console is the first of its kind, acting as a hybrid device that can be used in the home like a traditional console as well being able to transform into a portable system. Nintendo is staying true to its roots in making some of their most beloved games available on the console (Mario, Legend of Zelda, etc), and the console, much like its predecessor, steers fairly clear of the embittered PlayStation/Xbox battleground with it’s family-friendly cartoon advocates and new option to take it on the road. Monitor their children what they are playing . parents can view a report of which games their child has been playing, and see how much time they have spent on each game. They can also receive a monthly play report of their child’s game play activity. This can allow parents to start a conversation about the types of games your child likes to play. Monitor the time child spends on the Switch: Parents can set a time limit for how long their child is allowed to play, when this time is over an alarm will be triggered on the Nintendo Switch to let them know their play time is over. Set the “Suspend Software” feature to automatically turn the game off when child’s game play time is over. Restrict games and certain online features according to child’s age. Parents can stop their child from playing games which may be inappropriate for their age ranges. 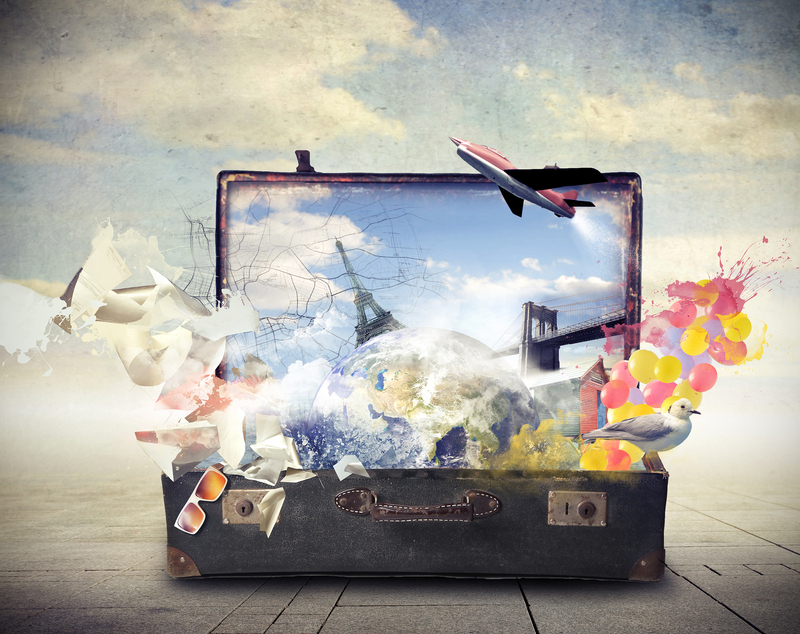 Where do travelers turn to research and book their destinations—blogs, Instagram, Facebook? Do they use their smartphones to book on the go? In this post, we’ll take a look at how social media and mobile technology impact travel and how travel brands can use social media to reach more customers. Dust off your passport, and let’s get started! Social Media has become a daily bread and reading throw our walls are like reading newspapers back in days. To be short, social media is a habit. 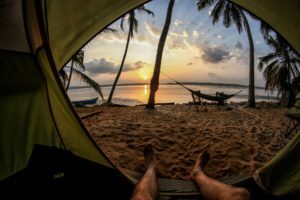 So, I had noticed that I had come across this travel pages on Facebook and Instagram that is purely killing it in Travel Market. I have to admit that I love traveling and I do follow traveler’s pages but this one is a pure class. When I mean class, I prefer to say the flair and passion that has driven them to create a well-planned campaign to promote travel. The vibe nurtures indigenous perspective on global curiosities. They promote and let you explore journeys through native video content and online editorial space. They offer the audience contemporary expeditions that reflect the true spirit of our times. They aren’t just a travel companion but storytelling media firm. This unique synergy offers the viewers, readers and followers, a chance at new conscious experiences, broadened worldview(s), and expanded social horizons and in finding new comfort zones. 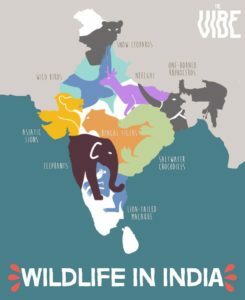 They come out with brilliant plans and travel and explore the world step by step and this page made me understand the cultural definition of the places they have covered. A travel companion for a student, professional or a nomad that helps you explore and their way of promoting events in the best-visited places in the world. It’s more of a nature trip spot that makes you understand how beautiful the world we live in and it finely balanced campaign planning of each country makes it even sensational. Standalone content is forgettable in today’s world but when it functions with a synergized ecosystem, the path to personal relevance becomes one of least resistance. And so, it is in this spirit, I advise you to explore and build the Vibe. 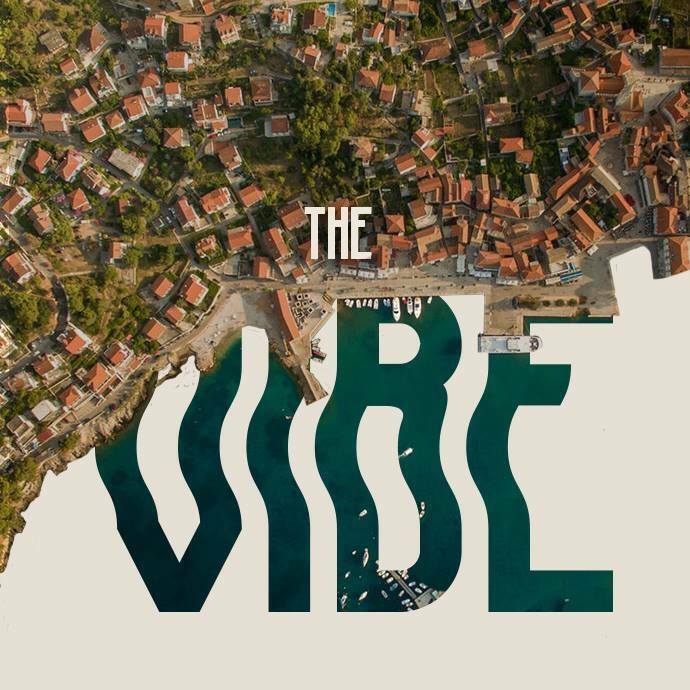 Revel in #TheVibe of this island as we take you through some of its #MovingImages following Etoile and her life as she's definitely Going Epic Places. 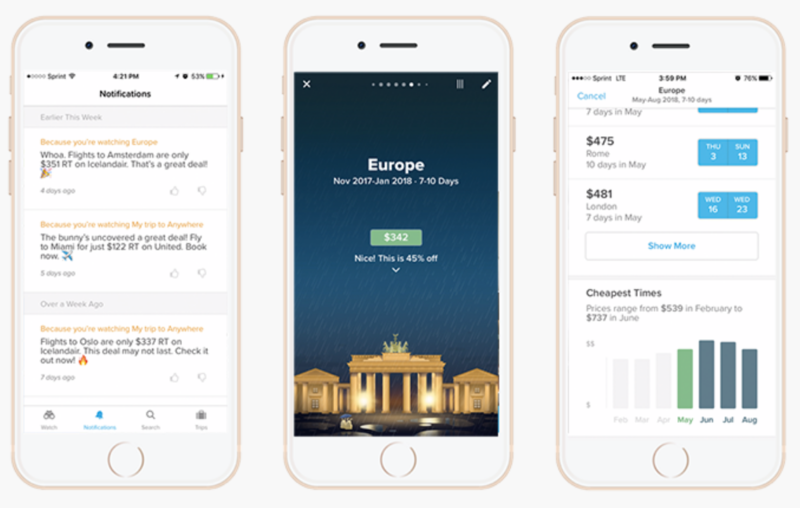 Hopper is a mobile application that uses big data analytics to predict and analyze airfare . Hopper provides travelers with the information they need to get the best deals on flights, and notifies them when prices for their flights are at their predicted lowest points. Last year they came up with an idea like Black Friday in travel bargains they call it Travel Deal Tuesday . 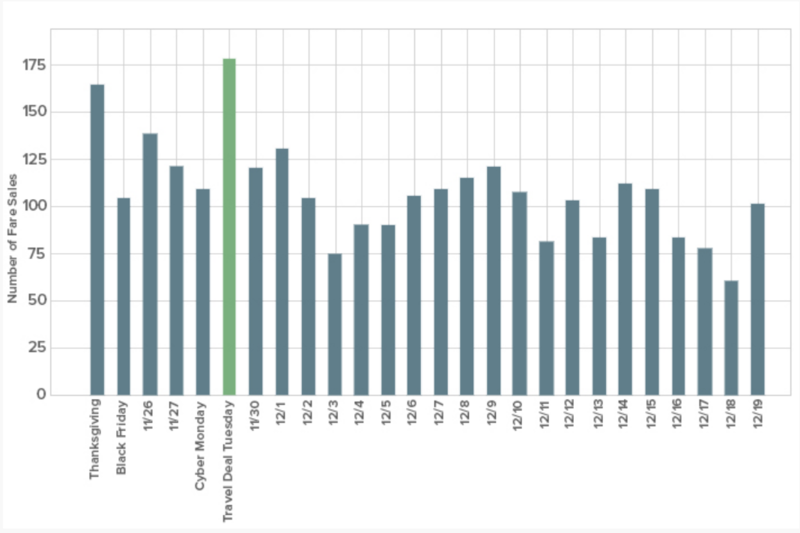 They analyzed historical flight pricing data and found that fare sale activity significantly spikes on the Tuesday after Thanksgiving in America. Last year, Globally they observed more than double the normal fare sale activity on Travel Deal Tuesday. In 2015, they could fare sale activity spike by 6X the normal volume. The airlines offer major discounts because travel demand tends to die down following Thanksgiving. Most travelers have already booked their holiday airfare, but haven’t started planning their winter getaways yet. Instead of searching throughout the day about choosing a cheapest the date. The best way to score a deal is to download the Hopper app and set up a Flex Watch . When we set a Flex Watch, we have an option to select cities or regions that we are interested in and Hopper will monitor deals 24/7 and alert ,when there’s a breaking fare sale. They also give out many tips to the customer stating there are 10 different mistakes that you make when booking a flight ticket. It’s a very bad idea to rush into paying for your flight without exhausting all your options with this application you can compare with the competitive offers and choose a better price. Although it may seem a little odd and the savings may seem negligible, choosing the right day to book your flights can actually help reduce the cost of tickets. Indeed, Hopper’s stats have shown that buying on Thursdays and weekends offer the largest savings on average. it’s always worth checking out prices to alternative arrival points nearby because Perhaps you’re considering a trip to the bubbling baths and industrial beer halls of Budapest, Hungary, but can’t seem to find any bargain air connections into town. Well, a wise traveler would expand their range of choices and look at flights to Vienna, Munich, Prague, and Bratislava, too, all of which are just one manageable and affordable overland journey away from Budapest. Hopper brings out different options for the customer so that they can choose and analyse their flight trips. Keeping an eye of the tickets as we all know it is time consuming . Hopper helps us out by checking the price and informing us when the price is low. From a view of a customer this application does us the whole work of fixing the accurate travel date. It’s suggested tips to further save money will help many users who are looking to cut as many costs as possible. It also has a simple interface, a pretty and soothing design. Once it expands its feature base a little more, it will certainly be a go-to app for flight planning. It would be great, if they can add more payment options. There are many things in life that we don’t like doing. There are many household duties that we don’t like doing. Technology already helps us in different aspects of our life and now time has come that it will relief us from one of the worst ones – ironing. Last year two smart guys in London came with an idea of the ironing machine. Actually they invented many prototypes before the one that is presented here but they didn’t think that the previous ones were good enough. 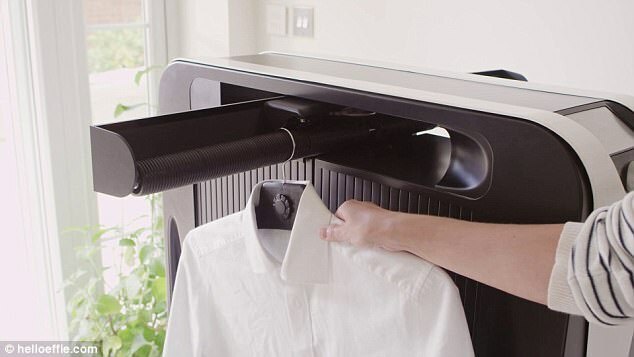 This miracle takes 12 pieces of clothing inside, each at a separate hanger and irons and dries all of them. You just need to take wet clothes out of the washing machine and hang them separately on Effie’s rail. The machine takes clothes inside one by one and it takes about 3 minutes for each piece to be ironed, dried and ready to be hung in the closet. Below on the video you can see how the whole process looks like. Important fact is that the machine can deal with all of the different fabrics, even the very sensitive ones. Obviously this is not so pretty story as it might seem.. the “early bird” price is 699 British pounds. But who would not want Effie in their home? Imagine you live in the Miami area where hurricanes and over-flooding are rather not a surprise anymore. You are on the streets trying to find your way safely back home when you see a man helping out a stray dog to find his lost family. Now, you have two options: sharing this news on social media and hoping it will get reposted enough times to eventually reach the dog’s family, or you can share the news along with a photo through Google’s Bulletin where the possibility that the news will reach the dog’s family who might at that very moment be searching Google for animal shelters are greater as your news might be the one to pop out in the search results. 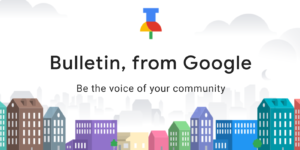 Google Bulletin is a new mobile and web app that will let users publish and share a news story by blogging and sharing videos or images straight from their phone or their desktop. It is Google’s latest child that just launched yesterday for its pilot study in two American cities: Nashville, Tennessee, and Oakland, California. 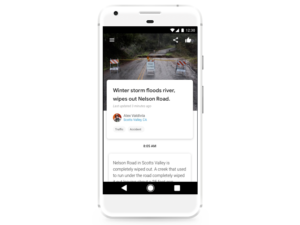 The app will no require any major registrations nor setup to post a story, and once posted to the Bulletin the news stories will be made public and easy to find not only through the app but throughout all Google search results. “Bulletin is an experimental app that gives people an easy way to tell stories about what is going on around them—ranging from local bookstore readings to high-school sporting events to information about local street closures,” he said. “We are excited to see how people use the app during this pilot phase.” – Google Bulletin Product Manager James Morehead. 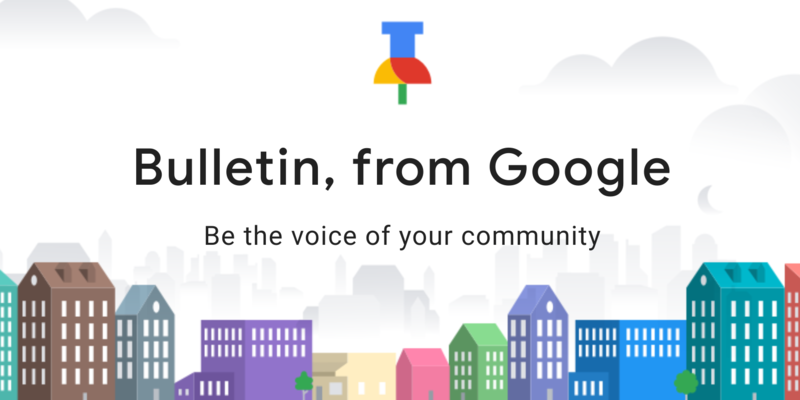 How will Google Bulletin work? Google claims its app is a “free, lightweight app” that can be dowloaded very easily. As of now, Google is running a pilot study that anyone is Nashville and Oakland can sign up for using a short Google Forms questionnaire that besides asking for the basic information like name, city, e-mail address etc., it also will ask about whether the user is a member of the media industry. After downloading the app, users will be able to start creating their news stories right away without the need to go to any third-party websites to set up a blog account. Google will let users upload videos and pictures right to the app, and the news stories will be instantly posted and will appear in Google News and Google Search results. There will also be an opportunity to share the news via emails, the messenger app, and on various social media platforms. Google Bulletin – a new way into Fake News content creation? Google and Facebook have both come under fire for allowing fake news to spread all over their platforms. The 2016 US Presidential Elections tickled the spread of thousands of fabricated fake news articles about the political candidates and their respective parties around the internet. The so called political clickbait has evolved into a money making business that got out of control and as many believe was one of the main reasons that influenced how Americans voted. So, the question that needs to be asked here is how is Google going to verify the accuracy of every single news story put out there? Although, the company still has not addressed this issue, they did say that any “deceptive behavior” will lead to a removal of Google accounts. Unfortunately, this does not address the issue of misinformation. Even though, Google Bulletin seems to be aiming at the coverage of local events and happenings rather than hard cover news stories, as of now, it seems like a legitimate threat to elevating the amount of misleading information available online, as anyone will be able to create content on whatever topic they want. By putting such power in the hands of the people, the app has the potential to either bring local communities closer together, or tear them apart. In order to prevent the second option from happening, the new Google platform will need to think of ways to first of all, tweak their algorithms to allow for fast fact-checking and diminishing of suspect sites. Second, Google will need to put in effort in campaigns that will teach media literacy so that people can learn how to distinguish between the news sources and how to recognize which ones are biased on their own. There is no doubt for any of us that cheese can be a delicious treat for any occasion. 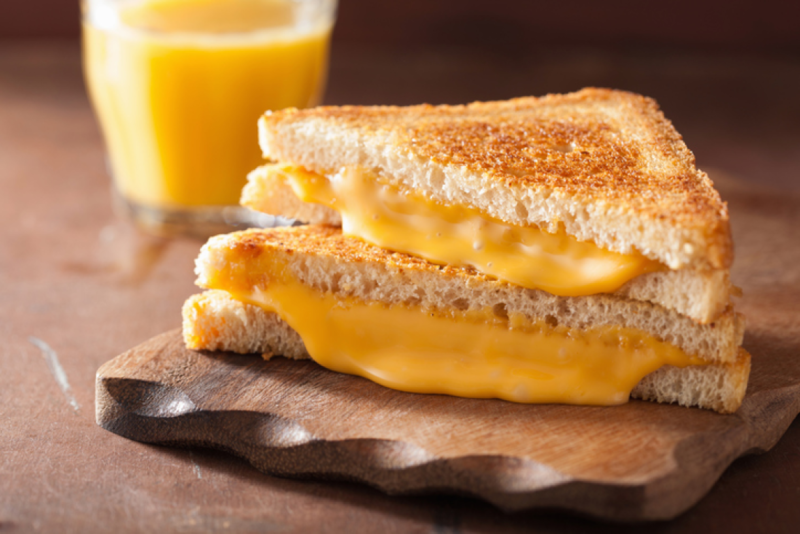 The group of researchers used 3D-printing to create a cheese that is softer and more fluid when it’s melted. In a recent study, scientists 3D-printed cheese and conducted a series of tests evaluating its texture, resilience and “meltability,” to see how this cheese from the future would look like. 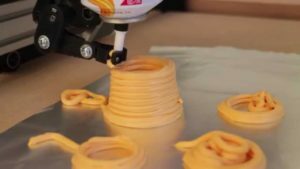 Cheese that was 3D printed was 45 percent to 49 percent softer than the untreated processed cheese, the researchers said. Cheese is produced using techniques that 3D printing mimics very closely, mixing ingredients and molding them into a new shape. Cheese that was 3D printed was 45 percent to 49 percent softer than the untreated processed cheese, the study authors found. They also discovered that 3D-printed cheese was a little darker in color, and more fluid when melted. Scientists at the University College in Ireland were curious how the 3D printing process might change the properties of an American classic cheese. The end product was substantially different from the cheese they put in, but this was likely the first time anyone had tried something like this. “To the authors’ knowledge, no studies have focused upon the impact of additive manufacturing methodologies on the structural properties of dairy products,” the authors write in the study published last month in the Journal of Food Engineering. Why do we require a digital marketing agency? The digital marketing world is ever growing, never dull and dynamic. If you are planning to leverage and grow your online business or application to your targets. Digital Marketing is a term representing different online methods of marketing and growing your business. So, it can be somewhat a complicated system to launch a robust or large scale campaign if your company lacks the resource, time and expertise for such an event. Outside of their comfort zone, to understand the need for series of challenges from cross-platform channels and devices, to running customer-segmentation based marketing trends are defining the future of e-commerce business. For this reason, we are going to explore some of the reason working with one. While your marketing team is working really hard to promote the product offering, digital marketing agencies are made up of experts who can provide tangible value in the definition and be spreading your brand’s real results that can be beneficial to your company. Many companies compare the cost of in-house operation to the price of an agency. They work as independent contractors, so you eliminate the need for payroll taxes. You also cut the recurring cost of full-time employees such as benefits, health care cost and salaries. Most reputed digital marketing agencies have their own digital tools, so you don’t have to spend a dime to get one. It is very important to understand that research is more important before launching the campaign. You need to learn more about the industry itself. This is where the agency comes in and puts across a well-organized plan campaign for your Seo, Sem and even your Social Media Campaigns. With the growth of the advertisement market, marketers are spending more time on research and delegating ads to the right platforms. Native advertising offers you a natural and organic way to display Ads. When done right, it can prove a robust experience to boost your ROI. There is a lot of research that has gone through in the content, designing, and planning team before a campaign or advertisement has gone live. Storytelling is a way to promote your campaign in more engaging manner building around your targets a hype or excitement for that product. 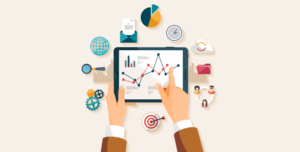 In-depth analysis of your current marketing strategy and development of a new strategy. Creation of a buyer persona to make sure your content is attracting the right audience. An audit of your current website and content. Design or re-design of your website, if necessary, adding site elements which encourage conversions (page navigation, contact forms, calls to action, landing pages). Adding lead generation and marketing automation to your content strategy (sales funnels, opt-in content, email marketing). Social media strategy to promote your content on the best channels for your ideal customers. 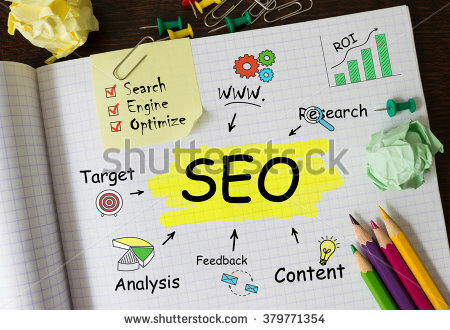 Search engine optimization of your website and content. Analysis and reporting of your website’s traffic and visitor behavior. How humanity will look like in one million years? In a million years people will be almost unrecognizable to anyone who lives today. We will likely have merged with technology to form bionic beings, experts say. An expert made the comments while discussing the new National Geographic series “Year Million”, which investigates what human life will be in the far future. Professor Brian Greene, a theoretical physicist at Columbia University in New York City, is a scientist featured in the series. He told that he doesn’t think humans in the year one million will look much like people today. He said our lives will be so different that we would never guess it now. Most probably, in the future humans could merge with machines. The experts claim that in 10,000 years from now when our skin and hair color, will no longer be regional but will be distributed around the globe. In fact, all languages that spoken today will have evolved into something new. In 100,000 years, it is said that humans will have finally made Mars a habitable planet.